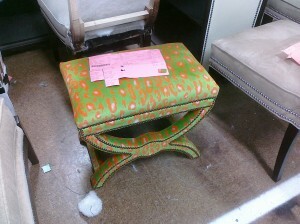 I just came back from North Carolina visiting the Vanguard Furniture plant, and oh, how fun! 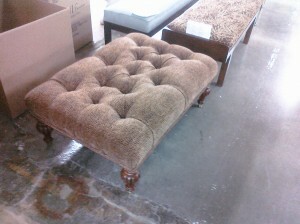 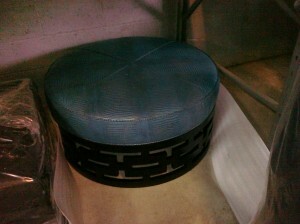 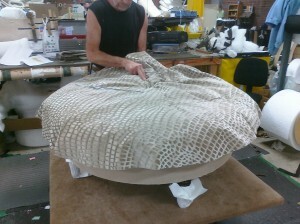 I loved walking around the factory watching the nuts and bolts of fine upholstery making. 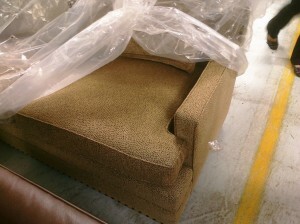 Smiley faces and skillful hands were all around creating beautiful sofas, chairs, ottomans, settees and benches. 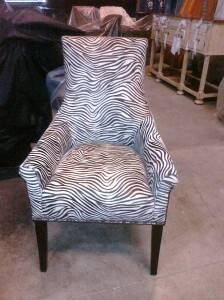 Surfing through the production center, I took a few shots of my favorite Animal print projects. 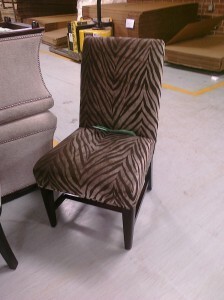 Sure enough there is another one around the corner ready to be shipped… I guess I am not the only one who thinks that Animal print upholstery is so much fun! 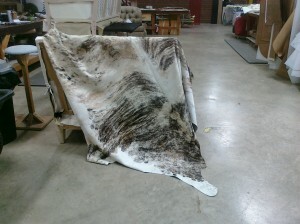 Hair on hide Cow settee and Croco round ottoman right on production. 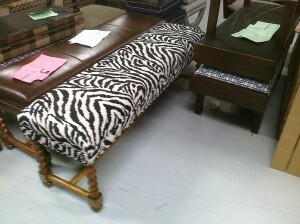 Ocelot Leopard stripe ottoman and Zebra print bench. 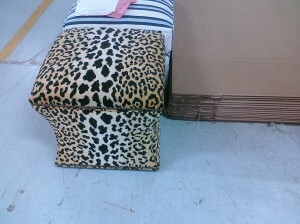 Ready for delivery Cheetah sofa and Croco turquoise cocktail ottoman.